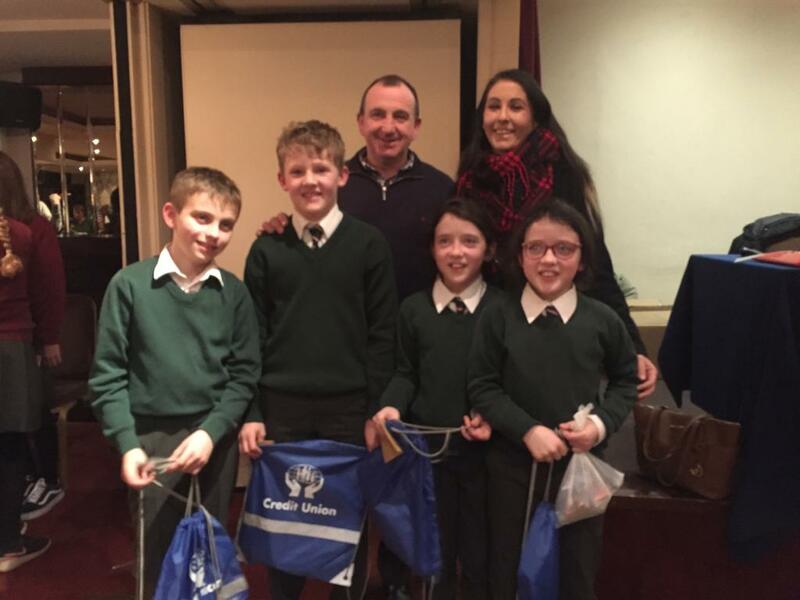 Congratulations to our Junior Credit Union Quiz team Michael, Fionn, Katie and Laura who came 2nd in the quiz in the Carraig Hotel on Friday Feb 1st. They scored a total of 39 points and they were just 2 points behind the winning team. We are very proud of them all.